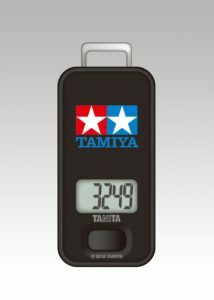 Tanita will release a total of 4 products, totaling 2 body composition testers and 2 pedometers collaborated with Tamiya in the middle of December. 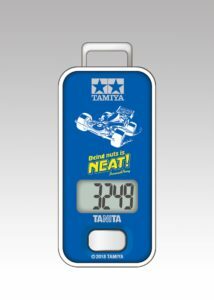 This time, we will release the body composition meter “Tamiya Model (Total Body Composition Total)” (Avante Jr.) “with the mini 4WD hit model” Avante Jr. “as the motif, with the pedometer” Tamiya model (TAMIYA) “, a pedometer” Pedometer Tamiya Model (TAMIYA) “, a body composition meter featuring a pedometer Tamiya model (Avante Jr.) and a Tamiya logo mark” Twin Star ” In the product, the price is “Tamiya model of the body composition meter” 2 kinds are 6,000 yen (tax excluded), 2 kinds of “pedometer Tamiya model” 2,800 yen (tax excluded). 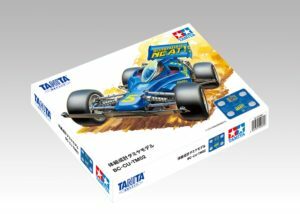 In addition to “Tanita Online Shop” , they will be also sold at “Tamiya Plastic Model Factory Shimbashi Store”, “Shizuoka Hobby Square”, “Tamiya Shop Online” . Prior to selling, “Tanita Online Shop” will start accepting reservations from October 23rd. 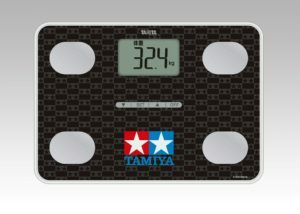 The collaboration body composition meter to be released this time is “Tamiya Model (Avante Jr.) of the body composition meter” with the motif “Avante Jr.” released in December 1988, and the original which treated Tamiya’s logo all over Two kinds of “body composition meter Tamiya model (TAMIYA)” of design. ”Tamiya model of body composition (Avante Jr.)” is designed based on the illustration of the body with the main body color of “Avante Jr.” As the basis. 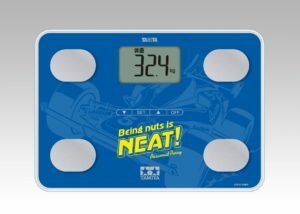 Also, the phrase “Being nuts is NEAT!” Which is also a trademark of “Avante Jr.” written in the wing is printed. In addition, the package has been created tribute to the package of “Primary Avante Jr.” at the time of 1988. 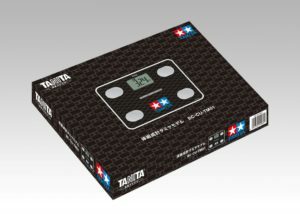 Meanwhile, “Tamiya model of body composition (TAMIYA)” is characterized by a design that studded with “Twin Star” which is a symbolic logo of the company based on black. With nostalgic design with newness, it has become a product that can tackle health making while enjoying generations. Both measured / displayed items are “body weight”, “body fat percentage”, “BMI”, “visceral fat level”. The size is 210 × 297 × 25 mm (length × width × height) and weighs about 1.4 kg (including batteries). Power is turned on by simply riding, and the measuring person is identified automatically, so health checks can be easily done everyday without button operation. This entry was posted in Future Releases on October 24, 2018 by admin.